There are a good number of retaining wall types and it is talked about enough as to why one should be install the garden of your home. Most people think it is only to retain soil but very a few know that it has a myriad of advantages. Considering the visual aspects, it can make your garden extremely beautiful. If we look at its utility, it protects from soil erosion and gives more space. However, not all retaining walls are the same; depending on the material, construction and installation method, you can expect different results. In Oklahoma City, modular retaining wall blocks are more popular than timber or stone. Let’s discuss why. Back to the day, you only had one option when choosing modular retaining wall blocks. It was grey in color and looked like concrete. Luckily, this is in the past now and you have many options with this material. A wide array of colors, texture, shapes and sizes you can find it all. It can easily replace or replicate natural stone, brick or cobblestone. You can get everything you desire, from rustic, old world to antique, classic – everything is available. Being the most talked about or highlighted advantage, the modular retaining wall blocks in Oklahoma City are easy to install. The blocks are manufactured so they can fit together and it is often as easy as stacking blocks. Although, the natural stone and other materials take the same installation time where installers have to arrange random blocks altogether. Modular blocks can easily be setback being stacked and it adds a little inward slant to the wall which helps with reinforcement. Choose the modular blocks in accordance with your hardscape. Select designs that go well with your bricks and pavers. This is also another good option for different landscape features such as planters, stair steps and a patio. These blocks are not chemically treated, therefore, people who care about Mother Nature should opt for modular retaining wall blocks in Oklahoma City. Timber has lost its popularity due to being treated chemically and its carbon footprint. The chemicals can harm surrounding areas and are not good for vegetation. Did you know the Great Wall of China was built with the same method that is being used these days for retaining walls, especially, when builders use modular retaining blocks? You can imagine how strong and rigid this can be. A retaining wall built with modular blocks can potentially last for hundreds of years, in comparison, a timber wall can last up to 15 to 20 years. If you are not convinced yet you can research more on it. We also suggest you compare pricing with other modular retaining wall blocks in Oklahoma City. ADC Hardscapes gives so far, the most easy-to-go pricing along with an industry standard installation method. For more, contact us. All details are given to the contact page. 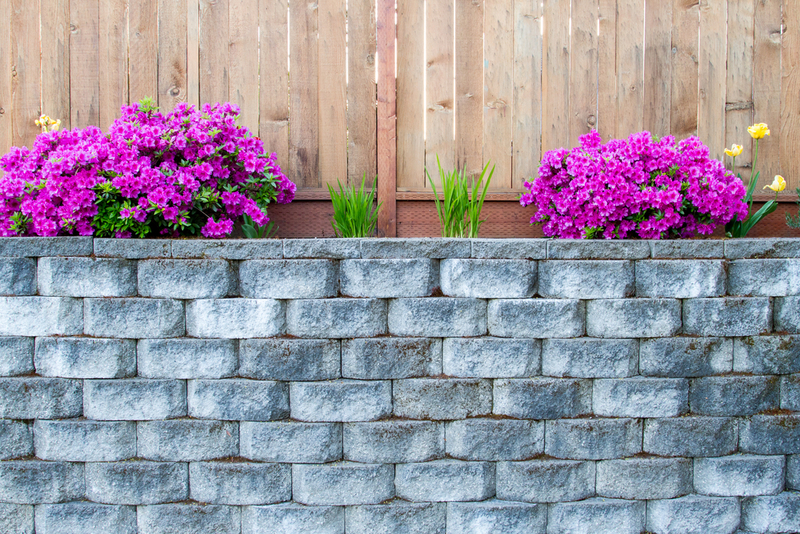 How To Choose The Perfect Retaining Wall Blocks?